We are living in truly blessed times as horror fans who also happen to collect toys, but no matter how many different licenses companies like NECA and Mezco scoop up, the reality is that MANY of our favorite movies will never make the leap to the toy shelf. And that’s where customizers take over. 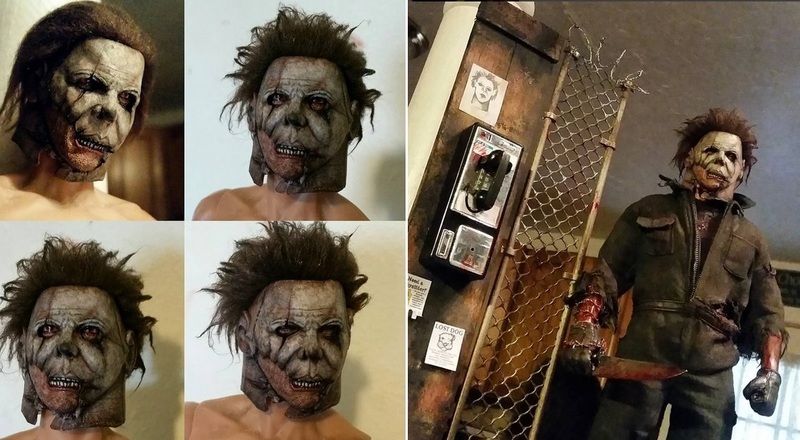 When it comes to custom-made horror toys, a man who creates under the moniker One’s Customs has been leading the pack for several years, meticulously hand-crafting 12″ action figures of both icons that the big companies have set their sights on, such as Freddy Krueger and Jason Voorhees, as well as ones that those companies have completely ignored, such as the CREEPSHOW 2 “Creeper” and Billy from SILENT NIGHT, DEADLY NIGHT. One, as he calls himself, sells his toys through eBay and his social media outlets, and you simply won’t find custom horror toys of a higher quality than the ones he whips up. Earlier this year, One launched a brand new custom toy line dubbed Original Concepts, and the name fittingly describes the line’s primary goal: to re-imagine our favorite horror icons, and give them fresh new makeovers quite unlike their many appearances in the respective franchises. 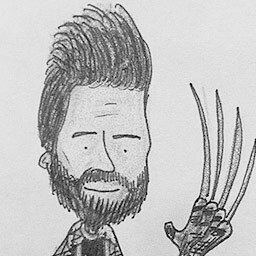 For years, One been hand-making figures of guys like Freddy, Jason, and Michael, and after spending so much of his time recreating their various looks from the films, he’s now getting even more creative and stepping outside those boxes to show us the way he would design each of them, if given the opportunity. Thus far, the Original Concepts line includes fresh new takes on Jason Voorhees, Michael Myers, and SCREAM’s “Ghostface,” and we wanted to shine the spotlight on One’s incredible handiwork here on Blumhouse today. You’ve never seen these horror icons quite like this before! Out of the three Original Concepts he’s designed so far, One’s take on Jason Voorhees is the one that rings most true to the character’s many appearances on screen. With the noose from FRIDAY THE 13TH PART 3 still around his neck (a nice touch), this version of Jason is dirtier and gnarlier than ever before, the terrifying face sculpt taking the PART 4 makeup to a gruesome new level and the trademark hockey mask badly battle-damaged and water-logged. 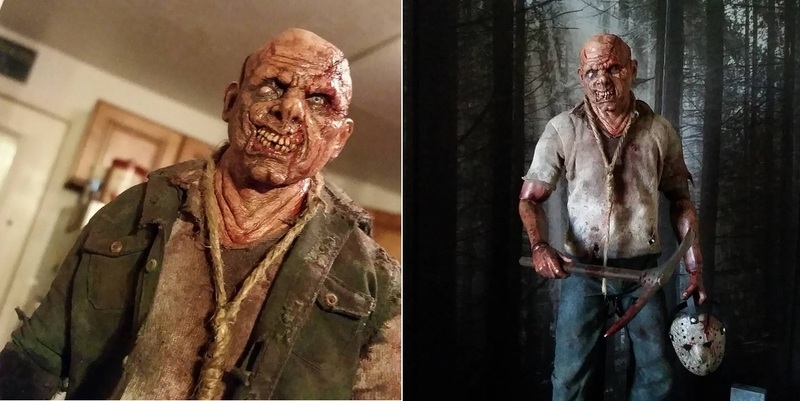 One refers to this custom as an alternate PART 5 version of Voorhees, giving us an idea of perhaps what the real Jason would’ve looked like if he actually bothered to show up in the franchise’s fifth installment. I mean, I guess he was still dead at the time, so I suppose we can’t blame him. Michael Myers has never looked as badass as he does in this second addition to One’s Original Concepts line, which seems to have been inspired more by Rob Zombie’s rebooted take on the character than on his appearances in the original HALLOWEEN films. His filthy mask so badly decomposed from years of killing that much of the latex jaw has completely fallen off, exposing his mouth, this version of Myers isn’t messing around, as evidenced by the string of barbed wire wrapped around his right forearm. Talk about nightmare fuel. In the second image seen above, One shows off an alternate head sculpt for the same figure, which features a completely redesigned mask based on the jack-o’lantern design featured in HALLOWEEN 6. Again, somewhat similar to one of the early Myers masks that Rob Zombie featured in his HALLOWEEN remake. 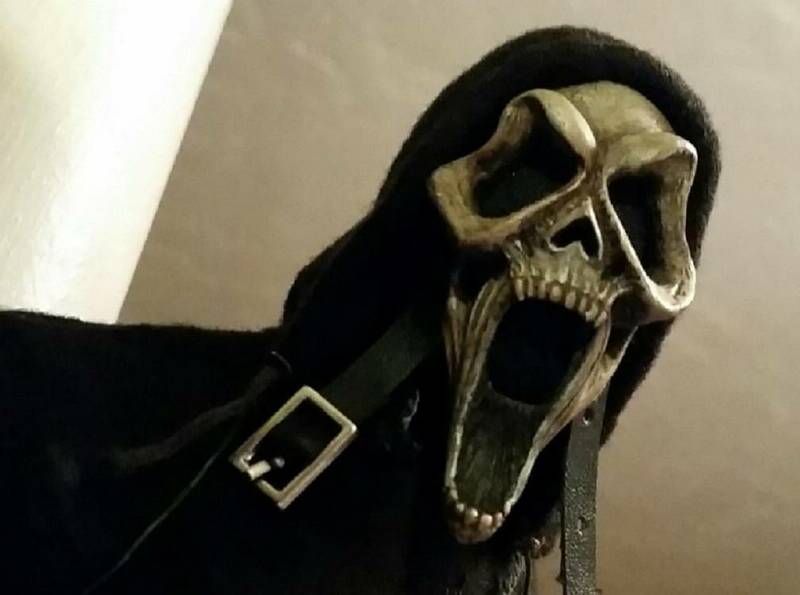 Throughout the SCREAM film franchise, the “Ghostface” mask and costume (of course worn by various different characters) have always looked pretty much the same, which is probably why One decided to step further outside the box with his latest Original Concept than he did with the previous ones. Looking much cooler than the one seen in the MTV series, this particular mask is organic and skeletal, making Ghostface seem more like a horrifying creature than simply a store-bought mask worn by human slashers. Also take note of the wonderfully sculpted knife accessory, directly inspired by the eye-catching SCREAM 4 poster art. Too cool. Which horror icons will One re-design next? According to a checklist he recently posted over on his Instagram account, SILENT NIGHT, DEADLY NIGHT’s Billy Chapman and A NIGHTMARE ON ELM STREET’s Freddy Krueger are next up on the chopping block, as is TEXAS CHAINSAW MASSACRE’s big bad, Leatherface. We cannot wait to check those out, and if you feel the same way, be sure to “like” One’s Customs over on Facebook. He regularly posts images and updates, and you’ll also find contact information on there if you’re looking to purchase any of these or commission him to bring your own vision to life. So follow him and browse around, because there’s a lot more awesome where these came from! 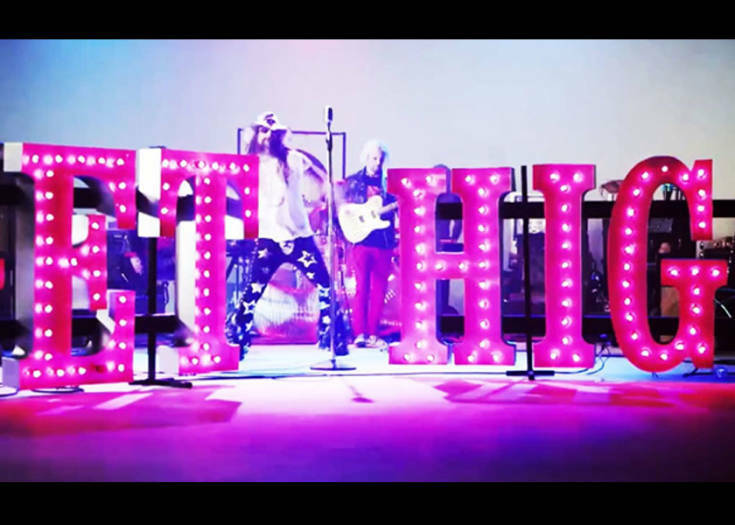 Previous Story Rob Zombie Debuts New Elvis-Inspired Music Video For "Get High!" 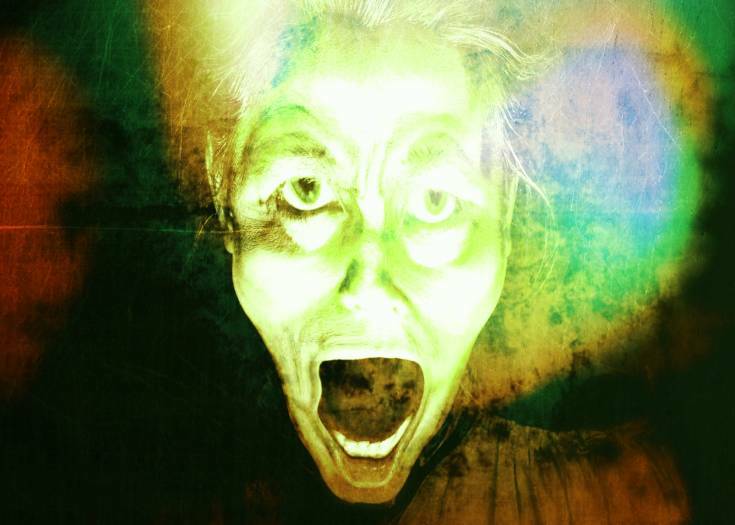 Next Story The Clue to a Grisly Unsolved Murder is "The Face in the Middle of the Dark"